Wilson Hall is a four level residence hall on Central Campus that houses 282 students. 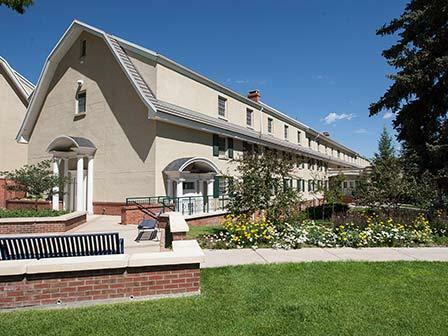 Although this residence hall was built in 1957 along with Wiebking Hall, it was renovated in 1999. Like the other buildings on much of Central Campus, Wilson Hall reflects a Dutch Colonial style of architecture. 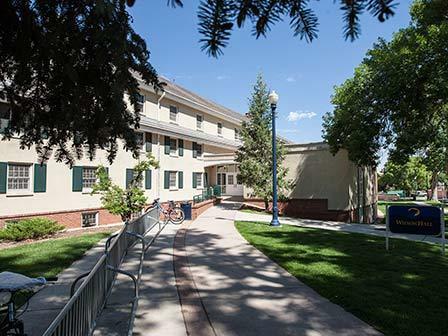 It's just a short walk from the University Center, Tobey-Kendel Dining Hall, and the Central Campus academic buildings, many students think that Wilson Hall is a great place to live. Once you make your confirmation deposit and activate your Ursa account, you’ll use your Ursa credentials to start your housing contract. You’ll rank the six housing tiers in order of your preference. Unfortunately, we can’t guarantee you’ll get your top choice, but we’ll do our best. 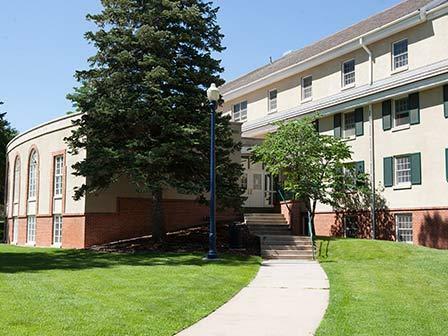 Our halls are ranked in the top five in Colorado, and we have plenty of rooms, so you’ll have a spot! In the contract, you can request to live in a Residential Learning Community, as well as request to live with a friend — you’ll need to put each other’s full names and Bear numbers on your applications. If you want to apply for an apartment as well, you’ll need to complete an additional application, which is available through the housing contract portal. You must submit both the application and $100 deposit for your housing contract to be complete. However, if you miss this deadline, don’t sweat it. 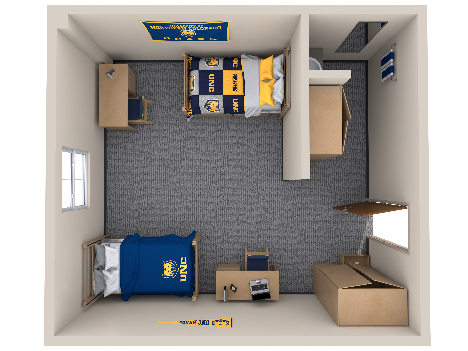 You can always complete your housing contract, and we will have rooms available for you. Just keep in mind that your tier preferences may not be available.